Since angular cheilitis is an ailment which is more of an annoyance than a health issue, most people avoid going to doctors to get treatment. This has caused many people to come up with their own solutions and remedies for angular cheilitis. This page will go over all the different treatment options dealing with angular cheilitis. Without treatment the average case of angular cheilitis can take anywhere from a couple of weeks to several months to fully heal. However, the mouth is one of the fastest healing parts of your body and because of this it is possible to heal angular cheilitis in as little as a few days when using the right treatments. The fastest we have ever seen a case of angular cheilitis get healed is in 18 hours. Generally, most people who get angular cheilitis will initially think it will heal on its own, but don't realize that it can take anywhere from a few weeks to several months for your body to cure itself and often times a minor case can turn into severe angular cheilitis Learn more about severe angular cheilitis. within a few days. There are two reasons for this. The first reason why it's hard for your body to heal itself of angular cheilitis is because the corners of your lips are frequently moving. This makes it difficult for your skin cells to close off the wound, because all it takes is for a person to open their mouth too wide (whether eating, laughing, yawning, etc.) and the semi-healed wounds will re-open and become exposed. Each time this happens more of your saliva gets into your wounds which re-introduces more of the bacteria and fungus which causes angular cheilitis to be re-introduced to the wound. The second reason it's hard for your body to heal itself of angular cheilitis is because it is a combination of a bacterial and/or fungal infection. It's difficult enough for our immune system to battle a bacterial infection or fungal infection, however whenever it's a combination of bacteria and fungus it makes it even more tricky. This is an option that most people take who are desperate to get rid of their angular cheilitis or if they are not sure if what they have is angular cheilitis or not. While doctors do prescribe medication that helps treat most cases of angular cheilitis, there are three drawbacks. Cost - Going to the doctor will be fairly expensive (unless you have medical insurance that will cover doctor visits). Then you will have to pay for the medication. Most doctors prescribe Mycolog-II or Hydrocortisone Valerate which have prices that range from $20-$90. 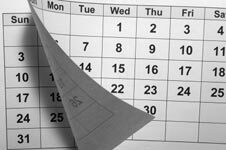 Time - Most doctors work during business hours which means you will need to either take time off work or sacrifice time out of your day to visit the doctor. 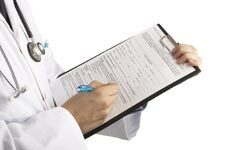 Bacteria Risks in Doctors Offices - Doctors' offices may seem sanitary, but they are frequently full of people who are sick which means there is the risk of exposing the open wounds on your mouth to the viruses and bacteria in the doctors office. This is the option most people use when dealing with angular cheilitis. Not only is it more convenient to use an angular cheilitis home remedy Learn the different types of home remedies people use to treat angular cheilitis. type treatment, but it's also cheaper. Unfortunately, there are a lot of angular cheilitis home remedies Learn the different types of home remedies people use to treat angular cheilitis. on the internet and many of them are inaccurate. There are countless posts, websites, and pages where people were inaccurately repeating what they had read elsewhere and other times people would list the home remedies that worked for them when in reality they had misdiagnosed themselves. A lot of people actually don't know if they have angular cheilitis or a cold sore. Learn the difference between angular cheilitis and a cold sore. Since there are so many angular cheilitis treatments posted in forums, blogs, and websites we decided to create a "master list" of all the home remedies for angular cheilitis See the list of home remedies people use to treat angular cheilitis. that people have suggested. Below is a list of these remedies and whether or not they work for treating angular cheilitis. Please note that we listed both good and bad remedies so do not assume that everything listed below helps treat angular cheilitis. insert_chart Did Abreva Help Your Angular Cheilitis? 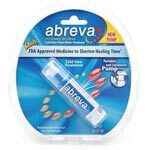 Abreva is a cold sore treatment that some claim heals angular cheilitis. Unfortunately, cold sores are caused by a virus and angular cheilitis is a bacterial/fungal infection so Abreva will not cure angular cheilitis. Most people who claim Abreva healed their angular cheilitis were mistaking a cold sore for angular cheilitis. Read More about angular cheilitis Abreva. insert_chart Did Antibiotics Help Your Angular Cheilitis? Antibiotic (cream or medication) can cure angular cheilitis caused by bacteria. However, it will not cure angular cheilitis that is caused by fungus. Since angular cheilitis can be caused by both bacterial and/or fungal infections this remedy will not always work. 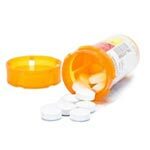 Read More about angular cheilitis antibiotics. insert_chart Did Antifungal Cream Help Your Angular Cheilitis? 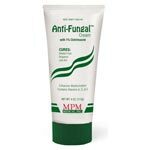 Anti-fungal creams can help to treat cases of angular cheilitis where the infection is caused by fungus. However, many times angular cheilitis is caused by bacteria or bacteria and fungus simultaneously, so anti-fungal creams will not work in those cases. Read More about angular cheilitis antifungal cream. insert_chart Did Clotrimazole Cream Help Your Angular Cheilitis? 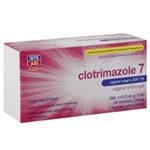 Clotrimazole is an ointment used to treat yeast infections. If your angular cheilitis is caused by a yeast and/or fungal infection then Clotrimazole may help. However, since many cases of angular cheilitis is caused by a combination of bacteria and fungus, Clotrimazole may not work in all cases. Read More about angular cheilitis Clotrimazole. Home remedies involve treatments that do not require you going to the pharmacy and buying medication. Many of these treatments involve the use of items found in a majority of households. insert_chart Did Vitamin B Help Your Angular Cheilitis? 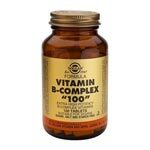 Vitamin B alone will not cure angular cheilitis. However, it is recommended to take if you do have angular cheilitis because it helps support your body's immune system. Read More about angular cheilitis Vitamin B.
insert_chart Did Baking Soda Help Your Angular Cheilitis? Baking soda has quite a bit of medical uses, however, the only way baking soda helps with angular cheilitis is that it may soothe the pain and swelling of the corners of your mouth. 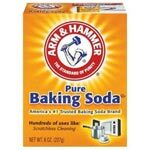 Baking soda will not stop or prevent the bacteria/fungus from reproducing and spreading. Read More about angular cheilitis baking soda. insert_chart Did Carmex Help Your Angular Cheilitis? Most people will apply chapstick to their lips when they have angular cheilitis because they think their lips are simply dry and chapped. 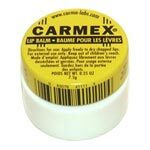 However, carmex (or any chapstick) will do nothing other than provide temporary relief. In fact, Carmex can have negative effects because it makes it easier for you to spread the bacteria/fungus from one side of your mouth to the other. Read More about Did Carmex Help Your Angular Cheilitis?. insert_chart Did A Diet Change Help Your Angular Cheilitis? While changing your diet may improve your body's immune system and overall health, it will not quickly treat your angular cheilitis. It is recommended to eat healthy and to have a proper diet as it can limit the number of angular cheilitis outbreaks. 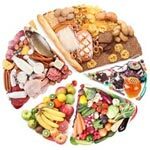 Read More about angular cheilitis diet. insert_chart Did Neosporin Help Your Angular Cheilitis? 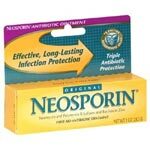 Neosporin significantly improves the healing time of most wounds, however, it will not treat/cure angular cheilitis. Although, its use may prevent/limit the amount of scarring in extreme cases of angular cheilitis. Read More about angular cheilitis Neosporin. insert_chart Did Rubbing Alcohol Help Your Angular Cheilitis? 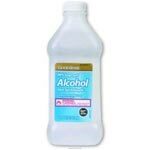 Rubbing alcohol is used as a disinfectant and can help clean the corners of your mouth (it will be very painful). However, rubbing alcohol by itself will not cure angular cheilitis. Read More about angular cheilitis rubbing alcohol. insert_chart Did Tea Tree Oil Help Your Angular Cheilitis? Tea tree oil has been around for centuries, however it has only recently been researched for potential medicinal uses. Because of this, it is not known whether it could have any positive benefits for angular cheilitis treatments. 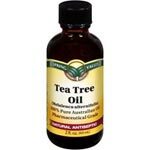 Read More about angular cheilitis tea tree oil. insert_chart Did Changing Toothpaste Help Your Angular Cheilitis? 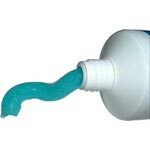 Toothpaste by itself cannot cause or cure angular cheilitis. However, many people feel that switching to a toothpaste that does not contain Sodium Lauryl Sulphate reduced the irritation and discomfort when brushing their teeth. Read More about angular cheilitis toothpaste. There are some ways that you can cure your angular cheilitis without using any medication. However, please keep in mind that these methods may not be appropriate for every person or every case of angular cheilitis, so please use your best judgment. Many people who have suffered from mild angular cheilitis Learn more about symptoms of mild angular cheilitis. to severe angular cheilitis Learn more about symptoms of severe angular cheilitis. have reported it becoming significantly better or even completely healing while vacationing in locations with beaches and pools. This may come as no surprise since sea water has been used for thousands of years to heal various skin conditions. The high mineral content of sea water is absorbed by the skin and helps to aid/soothe health issues such as bug bites, eczema, poison ivy, etc. However, this does not mean that sea water heals everything. We are simply outlining why the combination of sun, salt water, and chlorine may help with angular cheilitis. Bacteria can only survive in a watery environment, and salt water causes the bacteria's cell membranes to dehydrate. This can both kill and stop the bacteria from being able to reproduce. This is why some people will salt their meat to keep it from spoiling by bacteria. The salt will also help to dry the wounds you have on the corners of your mouth. Fungal infections will need a warm, dark, and moist environment to survive, and generally people who are swimming in oceans and pools will receive a lot of sunlight. Sunlight has been known to kill and weaken yeast, so sun exposure will have a negative effect on any yeast within your angular cheilitis wounds. When combined, these things will weaken the angular cheilitis and promote skin healing, which in turn can dramatically improve and/or cure many cases of angular cheilitis. Learn what causes angular cheilitis. Angular Cheilitis Causes Learn what causes angular cheilitis and what can make it occur more frequently. Treatments Not to Use See a list of common angular cheilitis treatments you should avoid using.